Dr. Ali N. Zaidi is an Adult Congenital Heart Disease Specialist who received his medical degree from the Aga Khan University in Karachi, Pakistan. He completed his combined internship and residency in Internal Medicine and Pediatrics at the Penn State University Hershey Medical Center. He did a Chief Residency in Internal Medicine at Penn State before pursuing his cardiology training in Columbus, Ohio. Dr. Zaidi completed combined fellowships in both Pediatric Cardiology and Adult Cardiovascular Disease at the Nationwide Children’s Hospital and The Ohio State University Medical Center. During these five years, he completed specialized training in Adult Congenital Heart Disease (ACHD). 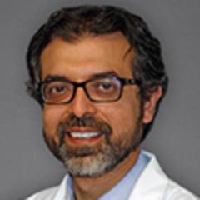 Dr. Zaidi joined the Zena and Michael A. Wiener Cardiovascular Institute and The Mount Sinai Children's Heart Center as full time faculty on January 1st, 2019, in the role of Associate Professor of Medicine and Pediatrics, Director of the Adult Congenital Heart Disease (ACHD) Center, Director of Pediatrics to Adult Transition of Care Program, and Director of Academic Affairs, Division of Pediatric Cardiology. He is accepting patients with all forms of Congenital Heart Disease at The Lauder Family Cardiovascular Ambulatory Center at Mount Sinai Heart on 1190 Fifth Avenue, First floor, New York, NY 10029.